Lacrosse (5-2) opened their ACC play with a 14-9 home loss to No. 18 Notre Dame. The Irish jumped up big early, but Louisville nearly completed the comeback with a strong second half showing with six goals. The Cardinals had 20 shots on goal and forced 15 turnovers. Louisville also committed 15 turnovers, but their five in the second half allowed for much more efficient offense. Freshman Caroline Blalock recorded a hat trick in the second. Junior Tessa Chad added a pair of goals, bringing her yearly total to 18. Louisville started with goals from senior Madison Hoover and freshman Caroline Blalock, giving U of L a 2-1 lead. The Irish then scored six unanswered goals, taking control of the game. Notre Dame led 8-3 at the half and recorded 11 shots on goal. Louisville had eight shots on goal, but ND had five saves. The Irish opened the second half with a goal, but Louisville took over after that. 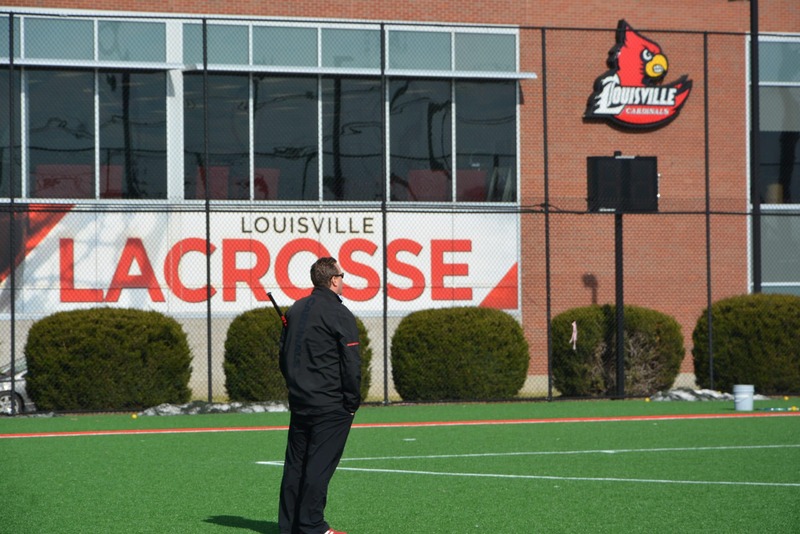 U of L scored six of the next seven goals to cut the lead to 10-9. Blalock recorded her hat trick by the 18-minute mark. Notre Dame kept their poise, responding with unanswered four goals down the stretch to close out the win. Louisville travels to No. 14 Duke Saturday, March 10.